On this Thanksgiving Day, the Bulls again have much to be thankful for, the latest being Wednesday’s 124-116 victory feast over the Phoenix Suns that ended a doleful four-game losing streak that mostly had them feeling like holiday turkeys. It was a bountiful victory in which the Bulls tied their season high for points scored, shot a season best 56.8 percent and recorded their season best halftime shooting and best single quarter at more than 70 percent. 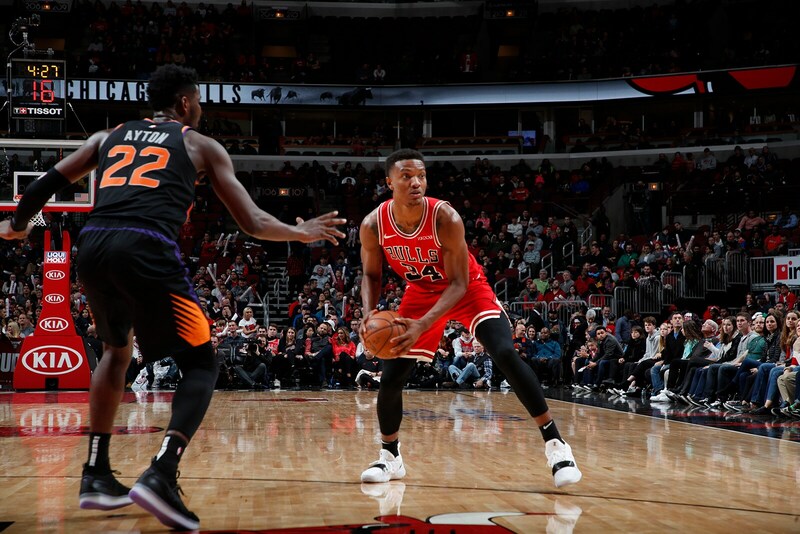 The Bulls stuffed the lane with 19 fast break points in a spirited and flowing offense and slow cooked the Suns offense in a second half in which the Bulls cut the Suns marksmanship 17 percentage points from the first half. The Bulls aren’t quite in gravy yet at 5-13. The Suns dropped to 3-14. 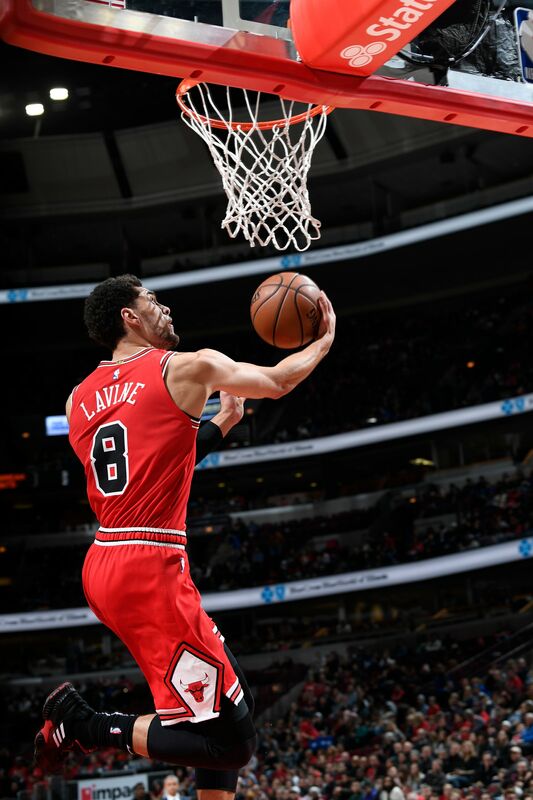 So the Bulls are thankful for LaVine, who came back from his mini bout with the flu to score 29 points, including a dozen in the fourth quarter, eight of 10 and five straight after the Suns cut a 10-point deficit to three with 4:35 left. 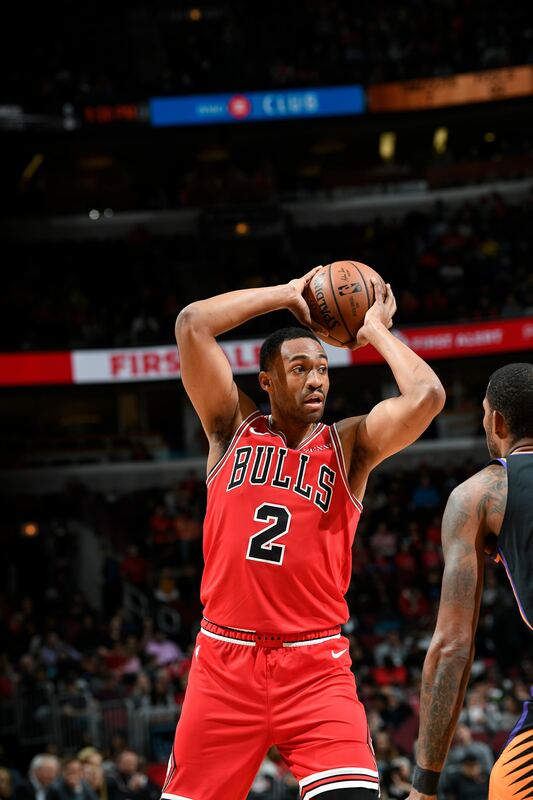 So the Bulls were able to give thanks for Parker, who had his best all around game as a Bull with 20 points, 13 rebounds and eight assists, making eight of 10 free throws. Parker for the first time this season blended his scoring with playmaking. He tied a career high with 13 rebounds and came one short of his high in assists. He’s averaging almost 18 points his last three games. Though the young Suns weren’t pushing away from this game table quite yet. They scored five straight amidst LaVine and Parker missed threes to get within 117-113 with 1:49 left, and it was left to the kids table to finish. Wendell Carter Jr. in an exhilarating matchup with No. 1 overall pick DeAndre Ayton finished with 14 points and five rebounds in 22 foul plagued minutes. Ayton had 18 points and 12 rebounds. But it was a cool Carter making the crucial plays down the stretch, first with a pair of no sweat free throws with 1:39 left for a 119-113 lead. And then it was Carter with 37.3 seconds left effectively bringing out the cigars by finishing a Ryan Arcidiacono inbounds pass with 4.8 seconds left on the shot clock from an ingenious play call from Hoiberg. So the Bulls could be thankful for having drafted Carter. Anticipating that the Suns would trap LaVine coming over Carter’s screen, Arcidiacono threw to a Carter carving up the Suns interior for a layup and 121-116 lead. When Devin Booker quickly missed a long three, LaVine was shooting free throws to close the game. 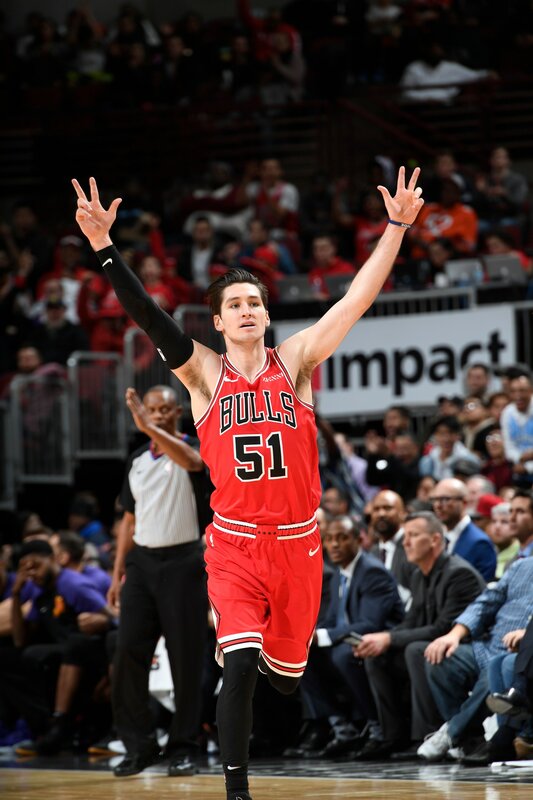 The Bulls were thankful for Arcidiacono, who may have had the highlight play of an evening filled when them when he went, literally, diving multiple rows into the stands, beverages flying in the air and crashing into seats attempting to save a loose ball. That was early in the game after the Suns had sprinted out to a 23-15 lead. On a possession in which the Suns got two offensive rebounds, Arcidiacono then chased a Josh Jackson miss into the stands, hurtling the Suns bench and a few rows of fans. The Suns would lead 28-25 after one. The Bulls’ brew then was mixed with the defense and hustle of former Sun Shaquille Harrison, whom the Bulls could be thankful for as he scored or assisted on 12 of the Bulls next 14 points to open the second quarter. That got the a 39-37 lead as he added a pair of steals. Still it was the new NBA first half, the Suns leading 69-64 as both teams shot 57 percent. The Bulls had three days off after the brutal losses to Milwaukee, Boston and Toronto and came back Wednesday with a game plan featuring quicker outlet passing and ball movement. It has been what Hoiberg emphasizes, but the Bulls had gotten bogged down in isolation play from their primary scorers. The result was failing to score 100 points in five of the last six games with defenses thwarting LaVine. But by pushing the ball quicker out of the backcourt and finding LaVine while moving, the defense couldn’t set as quickly. Parker, particularly, was engaged after relentless dribbling to start games that resulted in stagnation. He assisted on Carter runout and cuts for the first two Bulls scores. But more defense was needed, and the Bulls could be thankful Hoiberg changed up the pick and roll coverage with more trap and blitz tactics that initially flustered and mashed the Suns to start the second half. The Bulls with LaVine heating up after a cold first half took a 91-85 third quarter lead before failing to score a last 3:40 that Hoiberg described as “a stretch at the end of the third quarter when we completely lost our minds.” Turkeys can experience that. But it was not going to be a cooked Bull this time. Perhaps they finally will sprout. But for now there was plenty, finally, to be thankful for in a Bulls uniform.